OPINION: Arctic leaders need the training and experience to represent themselves in the coming discussions that will shape the region's future. Narsaq, Greenland is one many Arctic communities facing difficult debates about potential development. In Narsaq, a town in southern Greenland, some residents are torn on the subject of mining for raw materials, such as uranium. 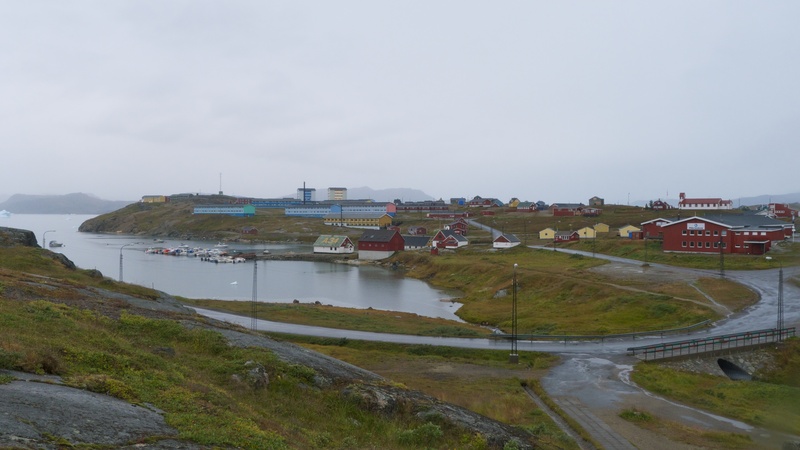 Warmer temperatures and easier access in the region have made Greenland’s communities ripe for development. It’s a double-edged sword: Local communities must choose a path that will protect their physical environments from pollution and protect the traditions they choose to maintain. Whatever their final decision, the town must negotiate these mining projects with large, multinational corporations, such as Australia’s Greenland Minerals and Energy. Meanwhile, in Norway, wind turbine farms have destroyed traditional reindeer grazing lands and, in the process, have negatively affected the economic and physical health of the Saami indigenous communities that rely on them. Wind turbine projects continue to be approved despite Saami opposition. These are just two examples of the growing tensions one finds in Arctic communities facing increased development pressures. As temperatures warm and the Arctic’s development potential grows, Arctic nations are plunging into a series of economic and political negotiations with external parties, on issues ranging from climate change policies to mining and fishing regulations. National governments and multinational corporations hire expert negotiators who have spent years preparing to make the best deal possible. But do these negotiators speak for the needs of the local communities that will be most directly impacted by the economic development of the Arctic region? To ensure that the peoples of the Arctic remain key to decision-making there, local communities should train the next generation of Arctic leaders by teaching basic negotiation skills at the high school level. Through simulations and case-based learning, this would teach future negotiators about the key aspects of negotiations, including: How do you define your interests? How do you know who shares your interests, and who opposes them? How can you construct creative solutions that transcend mere value claiming? And when, if ever, is it better to just walk away from the negotiating table? Such negotiation courses could be set up and taught either in high school classrooms or at civic centers. Conducting these trainings in civic centers would allow for community elders to participate in an intergenerational process. Training the next generation of Arctic leaders can help amplify indigenous communities’ voices in the future. And while local governments can protect the interests of their communities in the present time, informal community representatives with basic negotiations knowledge can approach conversations with their elected officials with better preparation, leading to more successful outcomes. Any current leader in the community who wants to learn basic negotiation skills should also have access to online training tools and pick up the language for negotiating with people in positions of authority. If negotiation is taught at high schools, by bringing practical skills to the classroom at an early age and empowering Arctic youth, local communities can counteract the fears that these large multinational corporations, armed with negotiation experts and financial resources, will ignore local needs and priorities. There are, of course, many challenges to carrying out this training: local teachers must be trained in the pedagogical methods for teaching the fundamentals of negotiation, all while recognizing that teaching methods might vary considerably across Arctic communities. This curriculum will also require financial resources; one suggestion would be to fund it through taxes on corporations that have established resource extraction operations in Arctic countries. As the Arctic takes center stage, local leaders are demanding to be heard and demonstrating the value of their local expertise. It is important for leaders to persuade their national governments and multinational corporations that their investments will fail without local buy-in that attends to the needs and priorities of indigenous communities. By supporting the elders and equipping the next generation of Arctic leaders with the tools to prepare for future negotiations, we can ensure that all Arctic communities can control the identities they want to preserve and advance their interests in a rapidly developing region of the world. Meredith Davis Tavera is a Master in Public Policy candidate at the Harvard Kennedy School of Government. Meredith grew up between Mexico City and Cincinnati, Ohio, and spent several years working for a foreign policy think tank in Beijing, China. At Harvard, Meredith is a course assistant for an intensive workshop on advanced skills in negotiations.